Very impressive pictures. Thank you Steve. Love your message to the world with powerful and beautiful photos and great quotes. Love all powerful and beautiful photos with great quotes. Your message to the world. Your photos are amazing and each caption enhances the visual. Thank you for sharing them. Beautiful photos, beautifully curated. We saw Icons in Ortigia – it was a holy experience. Thank you for your eye and your heart. Each photo is a visual poem. Lovely. Thank you. Every drop of water has a story just like every one of your photos has a beautiful story. Thank you Stevebhai for these outstanding images and beautiful quotes . Thank you for the photos. Striking, moving and also vibrant, the Afghani child carrying water uphill. This child is a winner, I’m sure. When I look at these photographs I think…He was here. I look deeper then, as though I were you in the moment you took the shot. It’s such a gift to share these visions.. Thank you Steve. Thank you so very much. What A life you’ve lived. Wonderful quotes every one. thank you. As always a great inspiration. I find out that the photo below has wrong capture – it is not Rovinj, Croatia, Yugoslavia but Kornati, Croatia. Thank you. We made the correction! This is beautiful! I’m always looking forward to a new blog post of yours. Your collection is spectacular but is missing the tallest waterfalls in the world. I hope you might come right after the Maduro-Castro-Chavez dictatorship is gone. Loved the photos and the quotes … thank you! The juxtaposition of the primitive well, albeit with plastic rope overshadowed by the Buddha at Bamiyan, Afghanistan, destroyed by the Taliban with artillery shells, is a very sad tale, indeed. Steve McCurry’s work is simply amazing! … always on the lookout for his posts!! Steve, your words, like your images, amaze and provoke me. Most well done! Your photography is sooooo spectacular and warm… It moves me and makes me feel things. I would like to strongly encourage you to try to visit Iran someday. You will be stunned. The beauty, the architecture, the people….OH, the people…… Trust me. It’s hard to get a visa, but worth it!! And it’s so safe there. It really is. Such great photos.. Steve is the best. Sao fotos tao lindas, que fiquei sem folego!!! Maravilhosas!!! Te amo Stevem. 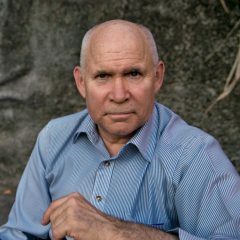 Steve McCurry will be recognized as the preeminent photographer of the early 21st century. Absolutely gifted. There has to be 50 of his photographs that you would be proud to have in your home. Steve, aside from your awesome images, the quotes invoke an inner sense of yearning. Those of us who have clean water must give thanksgiving for this blessing. Every shot a winner with depth and substance too.